The STRIKEPACK F.P.S. 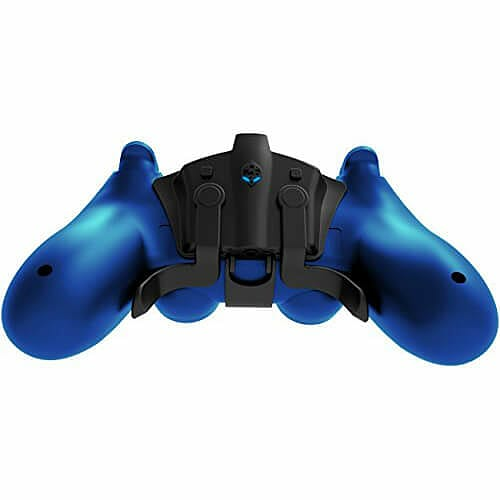 Dominator is a breakthrough controller adapter that adds advanced gaming functionality to your existing PS4 controller. The adapter gives you on the fly button mapping and the latest shooter mods without any permanent modification or voiding of your warranty. Simply snap it into your controller, plug in the 10ft cable, and get ready to experience lightning reaction times and unlimited control. Built in controller mods use a revolutionary new control system allowing full control right from the controller itself. No apps, no PC software, just unprecedented gaming control. Hundreds of mod combinations are possible. Optimized Rapid Fire, Fully Adjustable Rapid Fire, Adjustable Burst Fire, Pulse Fire, Optimized Jitter Fire for Brecci & Shieva weapons, Adjustable Anti-recoil, Adjustable Quickscope, Auto Run, Drop Shot, Reload & Slide, Easy Double Jump, Adjustable Button Turbo 2.0, Auto Hold Breath, BattlefieldTM Auto spot, Rumble Control, Hair Triggers and Motion Control Reload all built in and ready when you need them! LAG Free Wired Connection for Tournament Play The 10FT WIRED connection is a must have for tournament players as the controller no longer relies on the Bluetooth signal which can be greatly affected by interference and lag in the tournament setting. Instead you get a lag free FULLY wired connection giving you that needed edge in tournament play. 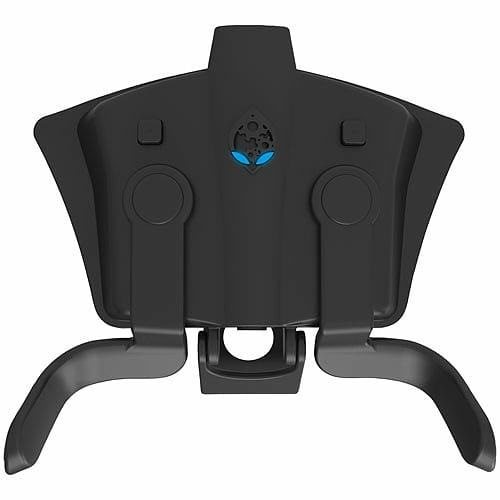 The Dominator features a MOD free mode with just the Paddle Mapping function available for all your tournament action. 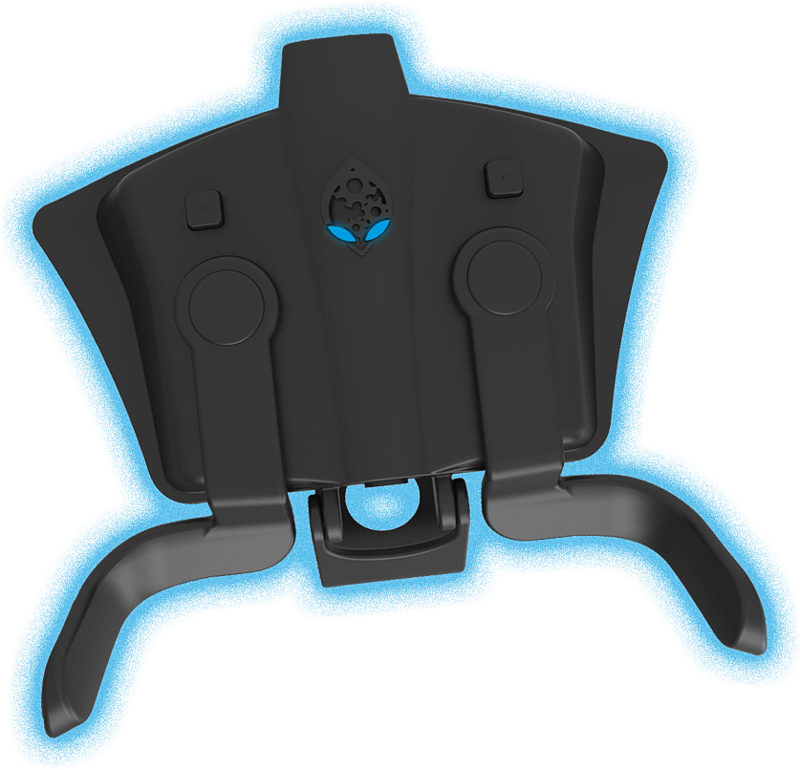 Paddles Get the ELITE edge on gaming with Ergonomic Magnetic Paddles that follow the natural path of the controller grip for the greatest comfort. The magnetic design allows for future custom paddles to be easily added. Paddles can be mapped not only to the face buttons, but the shoulder buttons, even the L3 and R3 stick buttons. Mapping control to the paddles remove the need to move off the thumbsticks and triggers to access face buttons. Precise haptic feedback from the paddles provides the expected result every time. You maintain control and gain precious reaction time. You simply become a better, more responsive, gamer. Hundreds of controller MOD combinations are built right into the device. The Mod pack adds them all without voiding any warranty. Rapid Fire, Burst Fire, Drop Shot, Jitter Fire, Quick Scope, Auto Run, even Turbo 2.0 are simply built in. Many MODS like Rapid Fire, Burst Fire, Anti-Recoil, Quickscope, and even Turbo 2.0 have fully adjustable variants so the gamer can customize to their liking. The most popular game specific MODS including Autospot for the Battlefield TM series, Easy Double Jump and Motion Controlled Reload for the CODTM series are also built in. Even deeper customization of your controller is possible with the Rumble Control MOD that can turn off rumble at request, and the Hair Trigger MOD that will let you fire at the mere touch of the triggers. Activate any MOD or combine MODS right from your controller without the need for any software. The innovative interface uses controller button combinations to do it all, giving you all of the power, right in your hands.